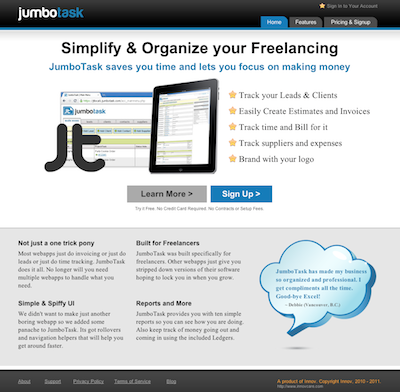 Its built specifically for freelancers and has everything a freelancer would need in one place. This is much better than keeping track of invoices in one app, leads in another, etc. No one can offer what we can offer to freelancers. Having everything in one place from leads to clients, from calendars to time tracking, etc. The convenience of using one app to track everything is paramount (and its cheaper).